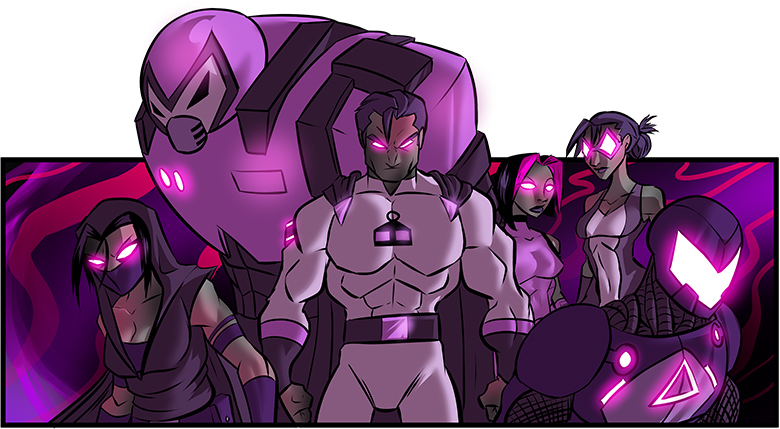 We're excited to get into our first official Sentinel Comics RPG timeline story! And it's one that many of YOU have played! After talking a bit about life and the SCRPG Kickstarter (currently happening! ), we get into an actual overview a bit after the 4 minute mark! Important Note: this episode is FULL of spoilers for the SCRPG Starter Kit. If you don't want spoilers, walk away now. Save yourself! We go through each issue of the starter kit adventure, explaining it from our point of view that way we have a frame of reference when we get to your questions. Which we do at around 44 minutes into the episode! Now we're at the most delightful part of the episode to us. Getting to hear what happened in your games is a real treat! He's got a Twitch channel! He's also got a podcast! Thanks so much, Zach - we couldn't have done it without your help! The SCRPG is up on Kickstarter right now! Check out the Letters Page Patreon to support the show! There will be a livestream on Patreon this Friday for this month's Editor's Note. Join us then/there! And keep being such great heroes, everyone!